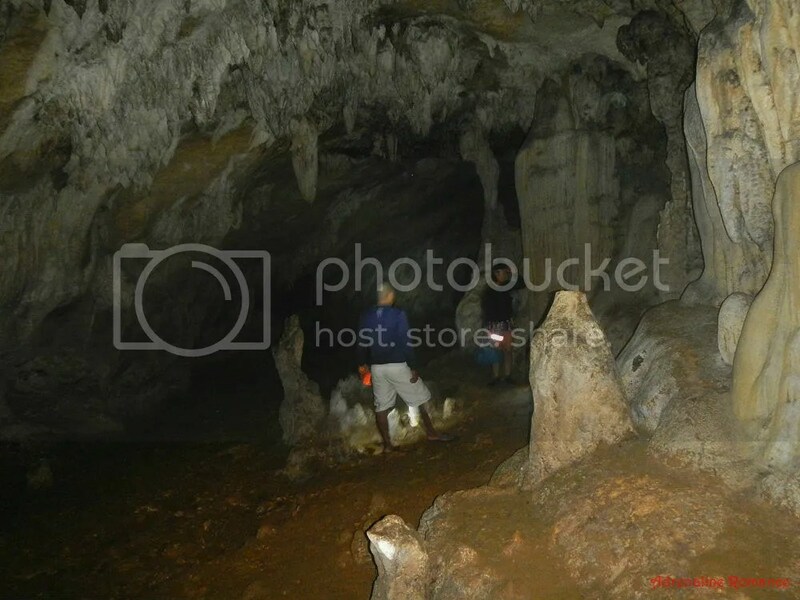 Caves are some of the most amazing natural wonders on Earth; they are worlds within the world! Inside each cave is a rich and delicate ecosystem that rivals the underwater world in mystery. 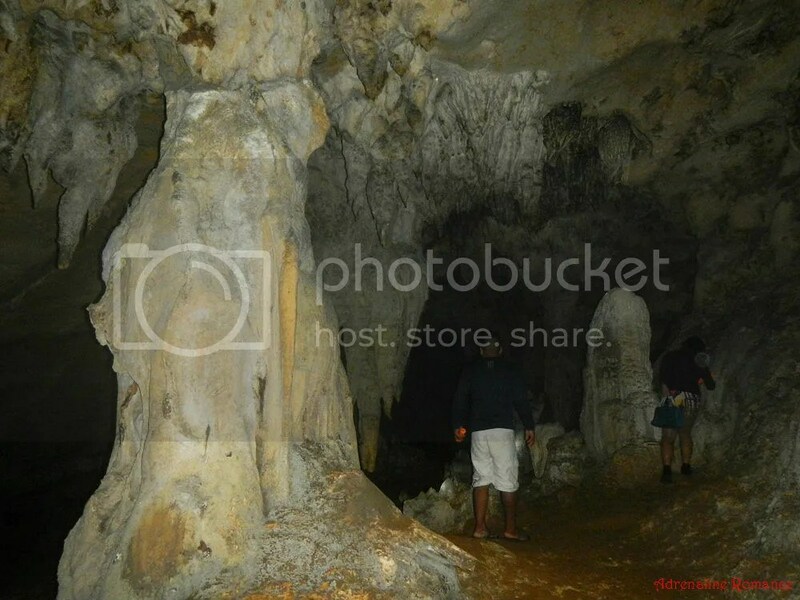 Inside each cave are rock formations so beautiful and bizarre that they almost defy logic and fire up one’s imagination. In this strange, dark, and potentially dangerous realm are snaking passages, immense cathedrals, never-ending abysses, rushing rivers, and other natural marvels that are rarely seen by mankind. 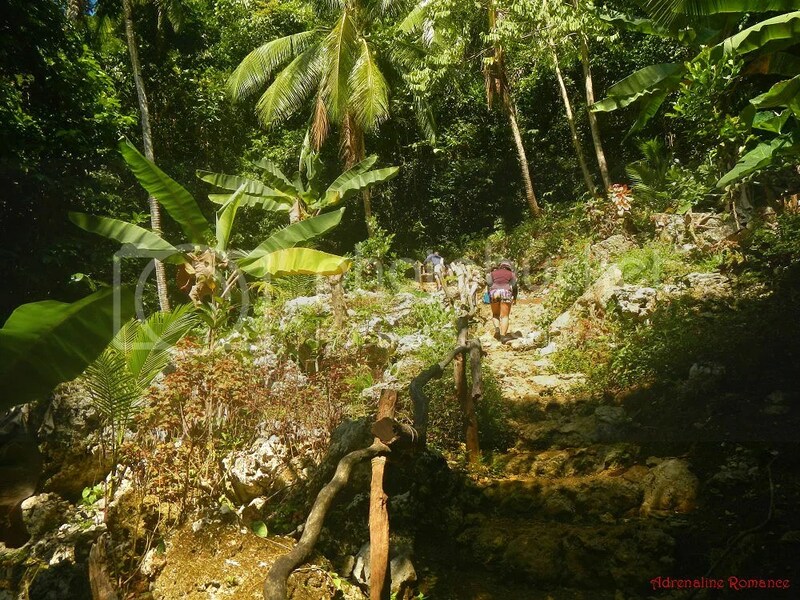 It was still high tide, and Sir Vincent said that we have to wait it out for a few hours for the tide to subside so we can enter Sohoton Cove. 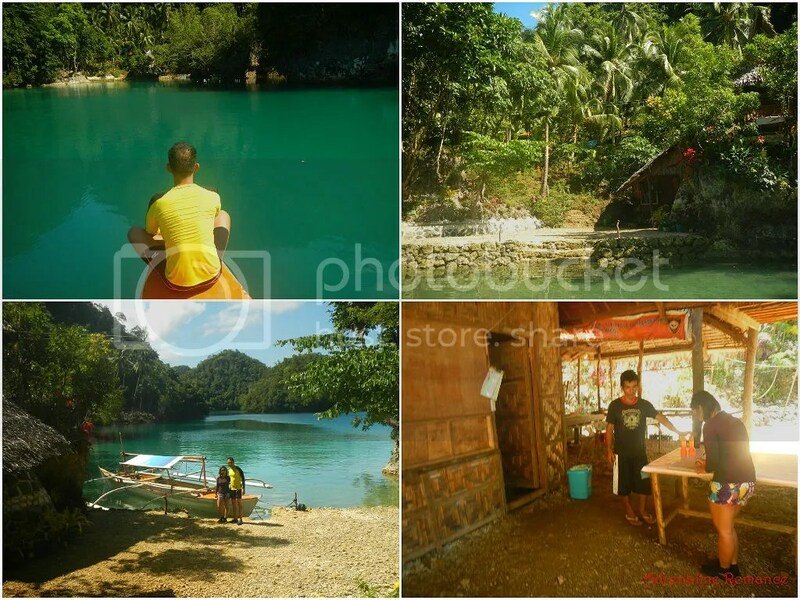 So, we passed the time by exploring some natural wonders around Sohoton Bay. We headed to this small, clean nook in one of the islands in the bay. The hut on the shore seemed empty, but after a while, the caretaker emerged from the structure. Our noise probably woke him up. Hehehe! We paid a small entrance fee and got a couple of flashlights. A trail made of carved rock led up the hill. Shame on you if you sigh in exasperation on the thought of climbing the steps! 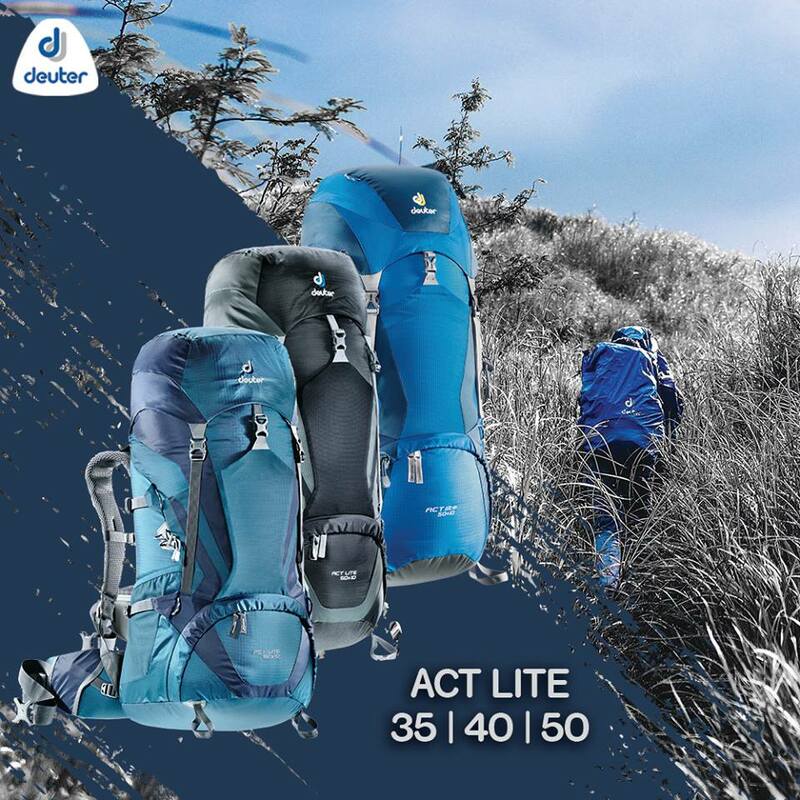 It’s good exercise, and the climb will only take a few minutes. There seems to be a network of caves in this hill. We passed by the entrance of one such cavern. 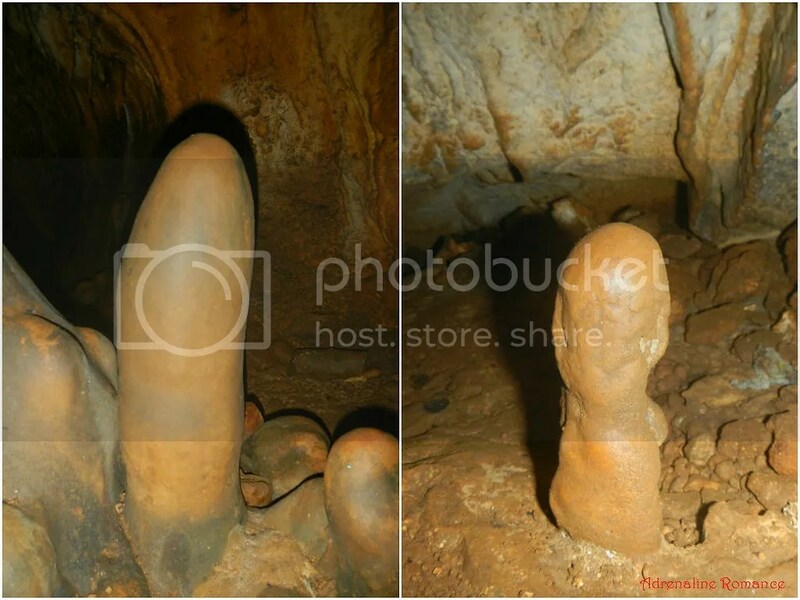 Sir Vincent said that this cave hasn’t been entirely explored yet. A few minutes later, we arrived at the foreboding mouth of Crystal Cave. It was time to switch on our flashlights and headlamps. 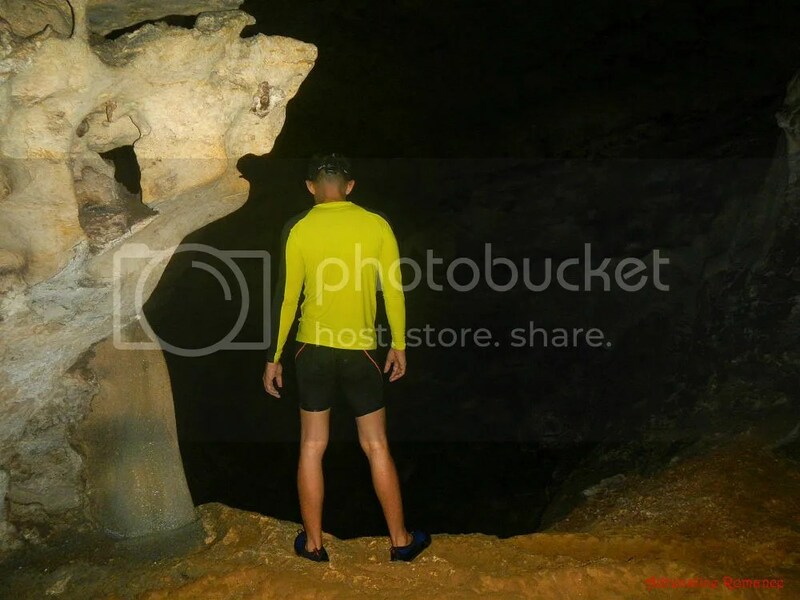 Just a few meters away from the cave’s mouth, Mother Nature immediately introduced us to some of the most spectacular rock formations we have ever seen. What are you looking at, Sweetie? Everywhere, we saw stalactites, stalagmites, columns, and flowstones. The ground, by the way, was compact but moist—somewhat like hard mud. Sweetie inspects a beautifully carved flowstone. Flowstones are accumulated calcite deposits that are carried by water flowing down the walls of a cave. Water may come from rain or an above-ground water source. Stalactites come in different shapes and sizes. Let’s see—there’s one that looks like a dome, another one that looks like a cone, a couple that looks like a set of screw bits, and a bunch that looks like an upside-down bed of nails. Simply amazing! This type of formation is called a chandelier, which is a complex cluster of stalactites and other cave ceiling features. 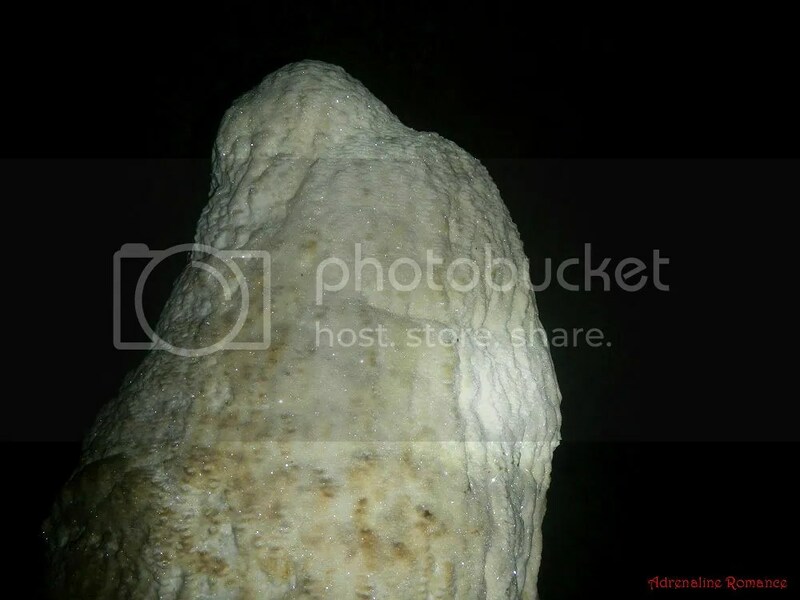 Below is another type of unique rock formation inside a cave. 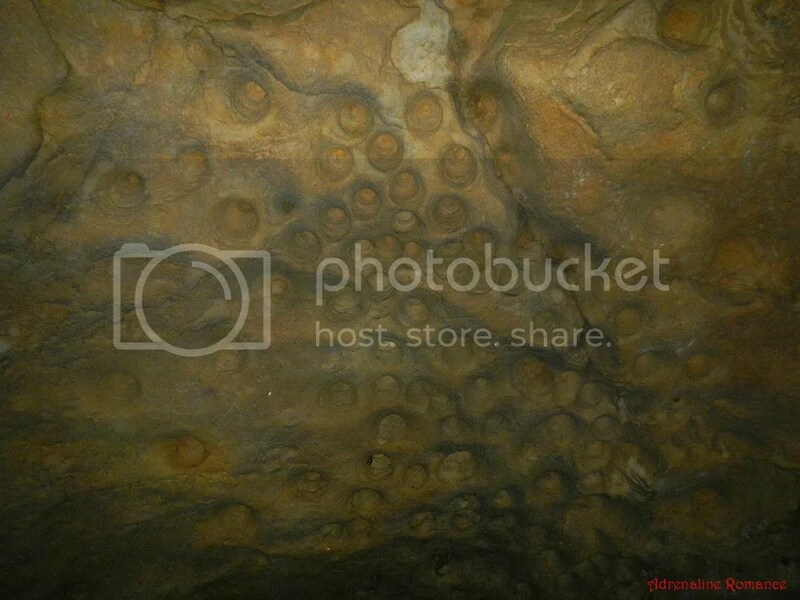 These round scallop-like hollows are called speleogens and are formed when bedrock is removed. 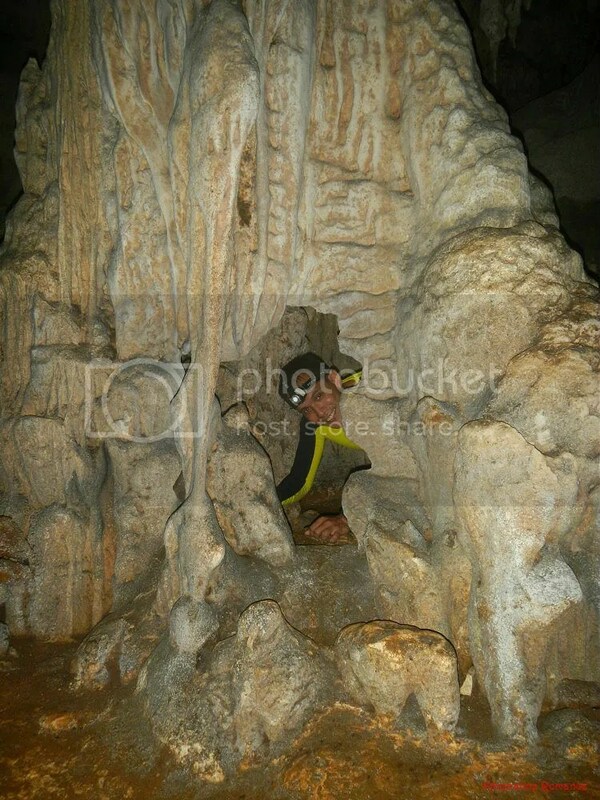 Compare that with speleothems (stalactites and stalagmites) in which are secondary deposits. Sweetie and I stood between two columns. A column is formed when stalagmites and stalactites “meet” each other as a result of accumulated calcite deposits. 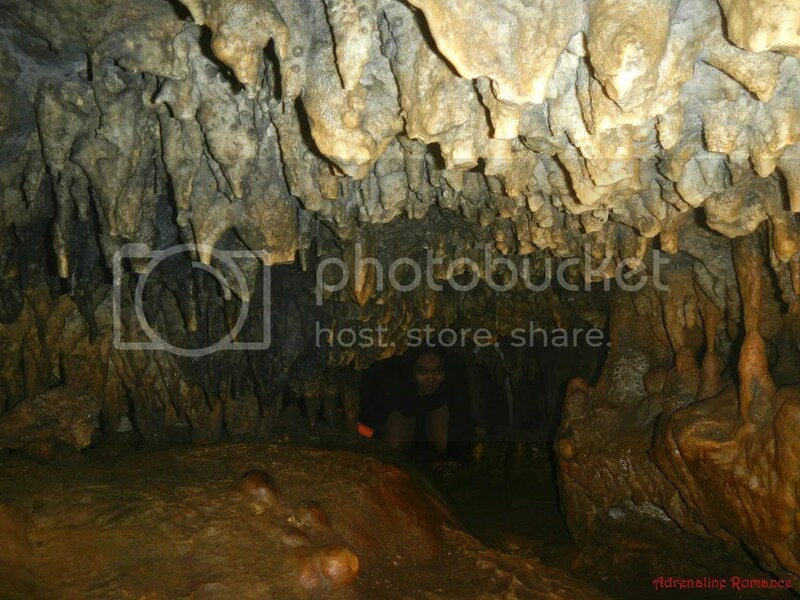 It can also be formed when stalactites reach the floor of the cave or when stalagmites reach the roof of the cave. Up ahead was an even more impressive array of rock formations including this giant column. 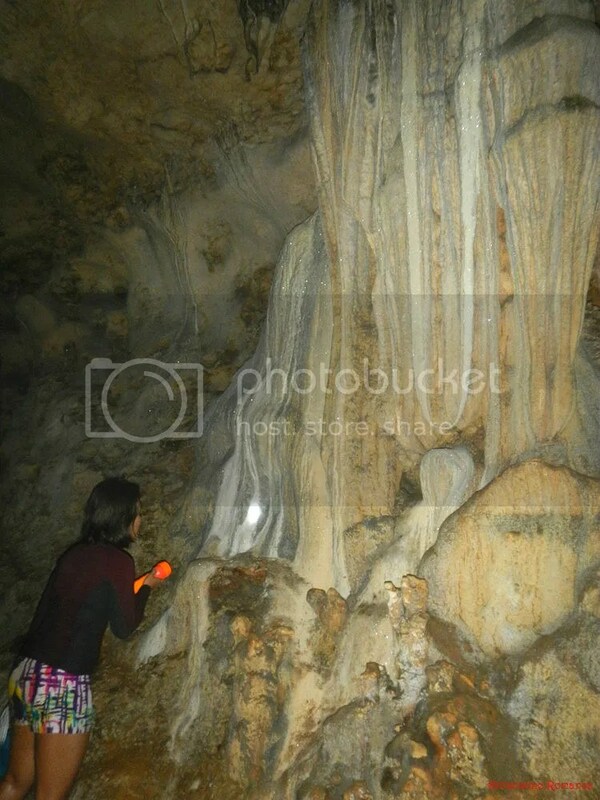 Sweetie inspects a relatively young totem pole stalagmite. 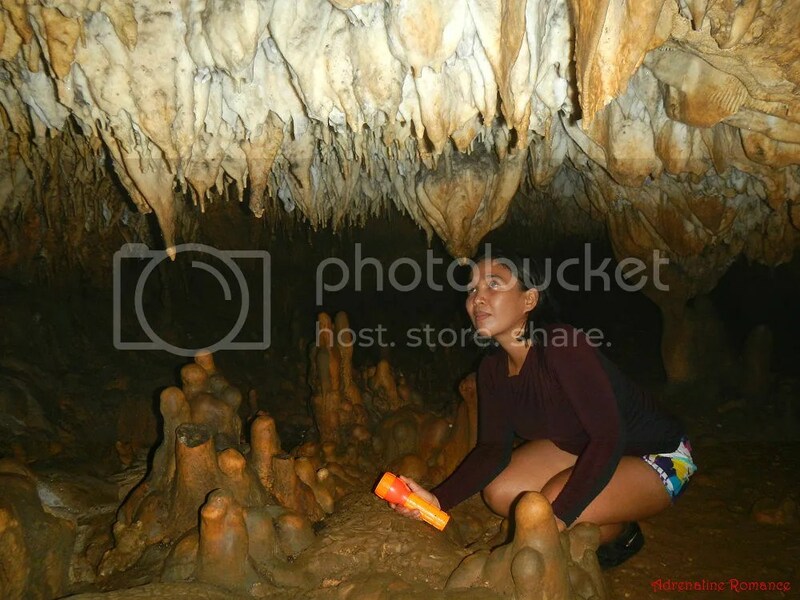 Behind her is a conical stalactite with several branches. Crystal Cave’s namesake comes from the fact that many stalactites, stalagmites, flowstones, draperies, and other rock formations sparkle when light shines upon them. The embedded quartz crystals glitter like fireflies dancing in the dark. Beautiful! 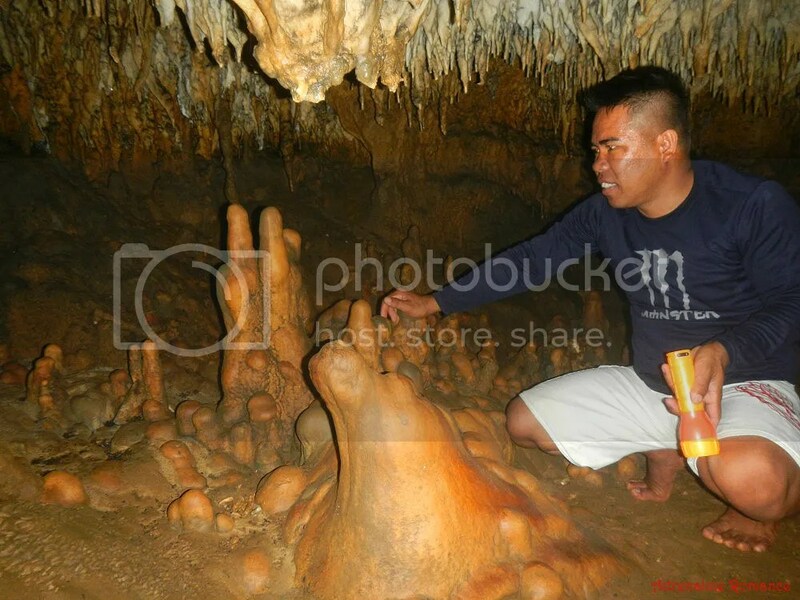 It is very important not to touch these young, glittering speleothems because they’re very delicate. The slightest touch can scrape off these crystals. We came towards this short tunnel-like passage where the walls were quite smooth. Also, check out the mud line on the wall. That means that mud may rise that high when water, probably from rainfall, fills in the cave. At the end of the passage is this deep, dark abyss. It looked real scary, but we could actually see the bottom. 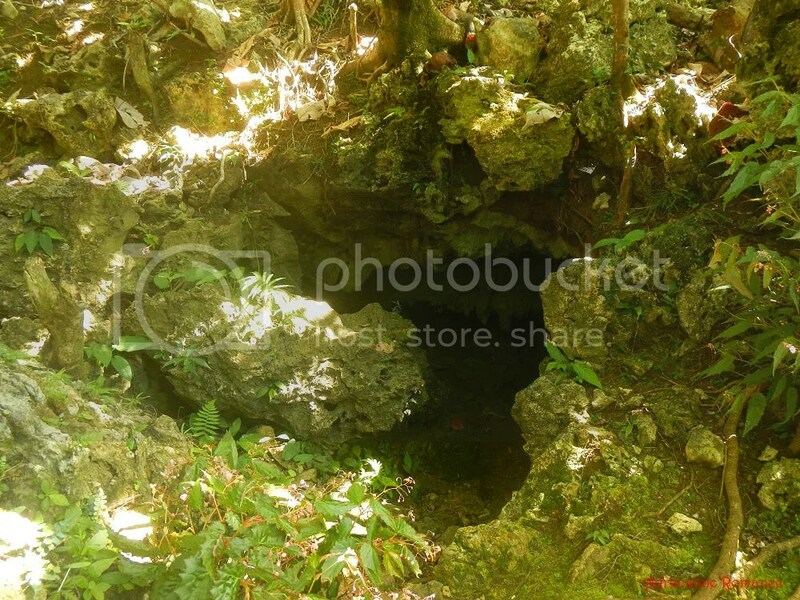 Judging from the rock formations on the wall of this hole, one can actually go down and explore the bottom provided he has the right skill and equipment. After a little while, we went back to the mouth of Crystal Cave to—exit? Nope! 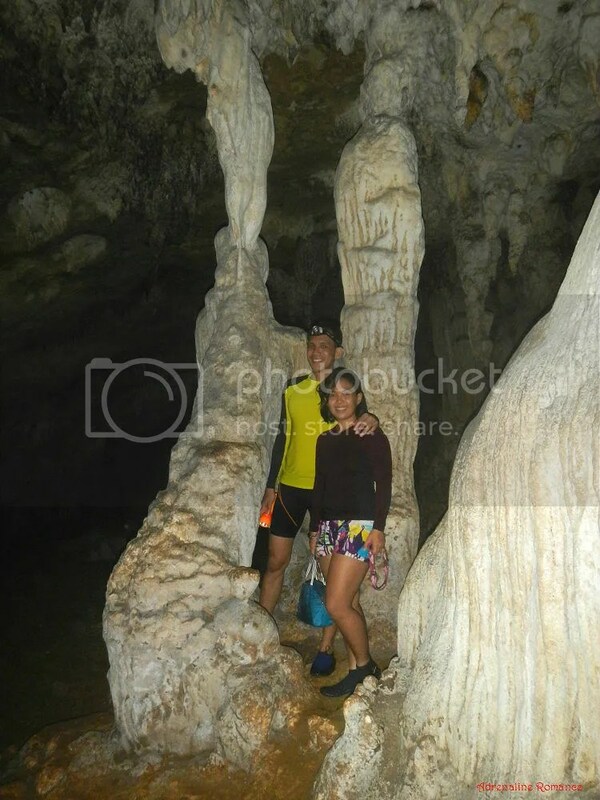 We were about to explore another cave system called Bolitas Cave. 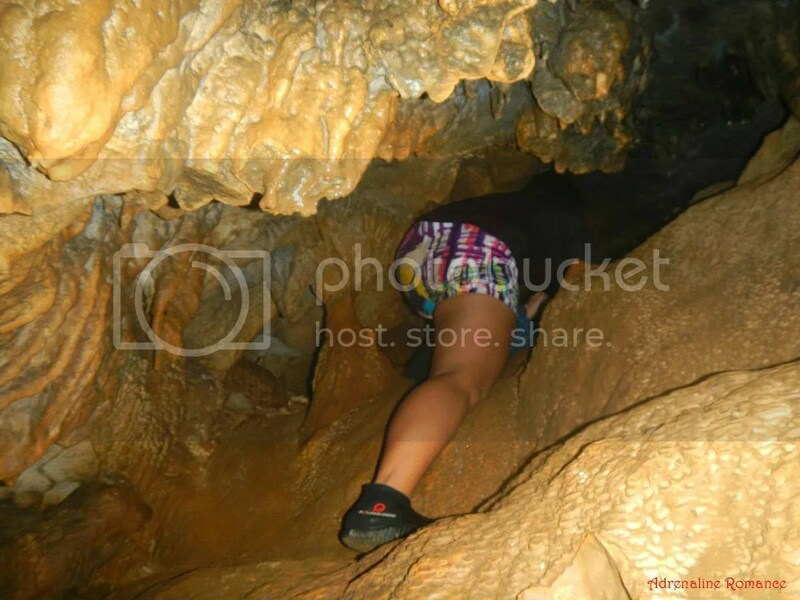 Getting inside Bolitas Cave was definitely not easy. 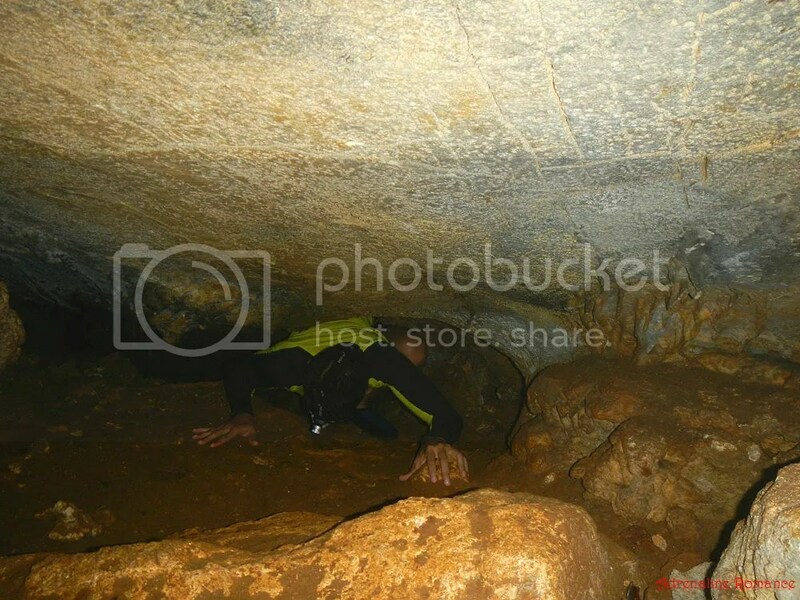 The cave was so low that we actually need to belly crawl, not just duck, to wiggle ourselves in. Complicating the entry is the fact that the slippery tunnel actually points downward! Here, Sweetie made her way down towards me. 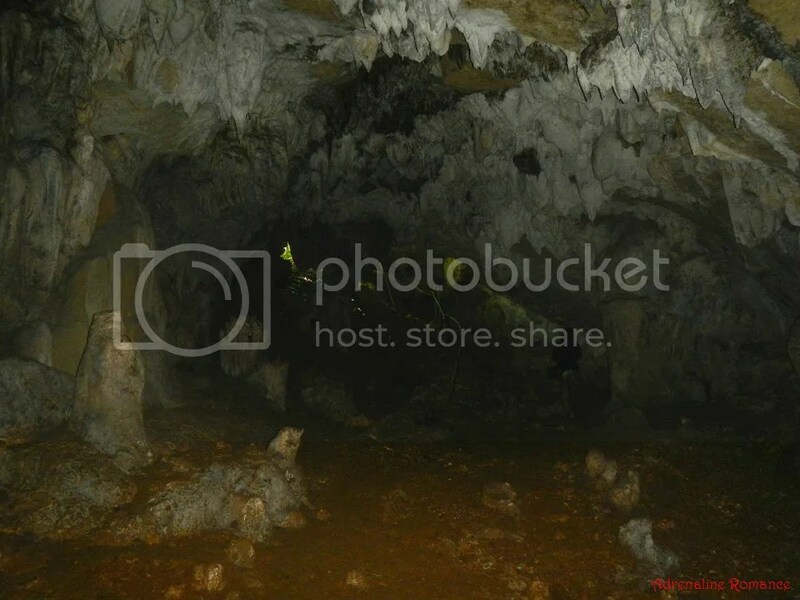 Like in a Lovecraftian monster’s mouth, we crawled our way to the center of the cave. 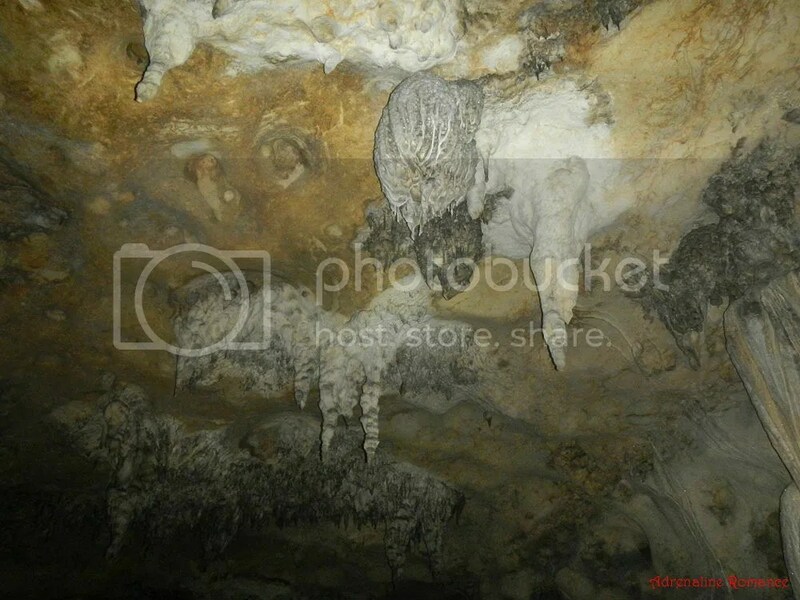 As you can see, a lot of the stalactites are broken, most probably from locals and visitors who accidentally hit them. 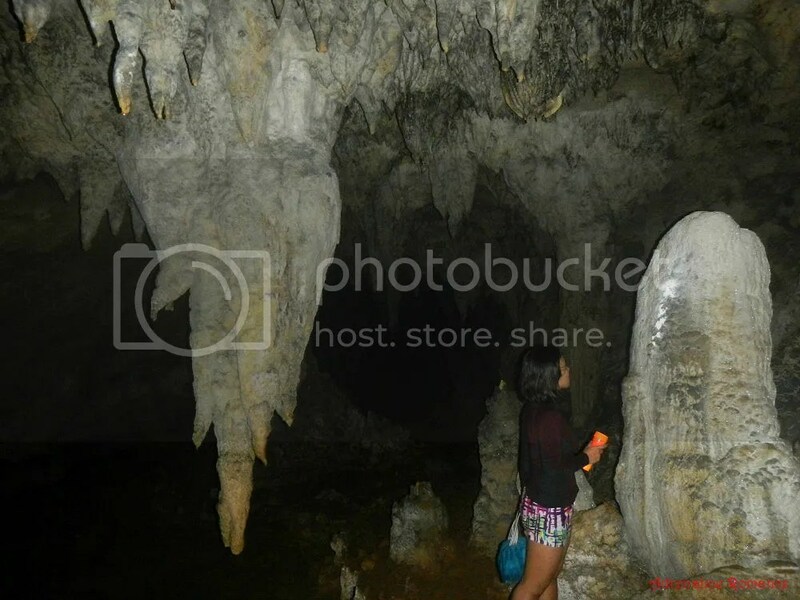 After a lot of wriggling, ducking, and crawling, we finally reached the belly of the Bolitas Cave. We had to be very careful since we weren’t wearing helmets. One careless move and we could injure ourselves with those sharp stalactites. Just look at those totally weird rock formations on both the floor and the ceiling! Bolitas Cave got its name from those tiny spherical stones on the ground. They resemble bolitas—tiny metal balls used in ball bearings and freewheel mechanisms. 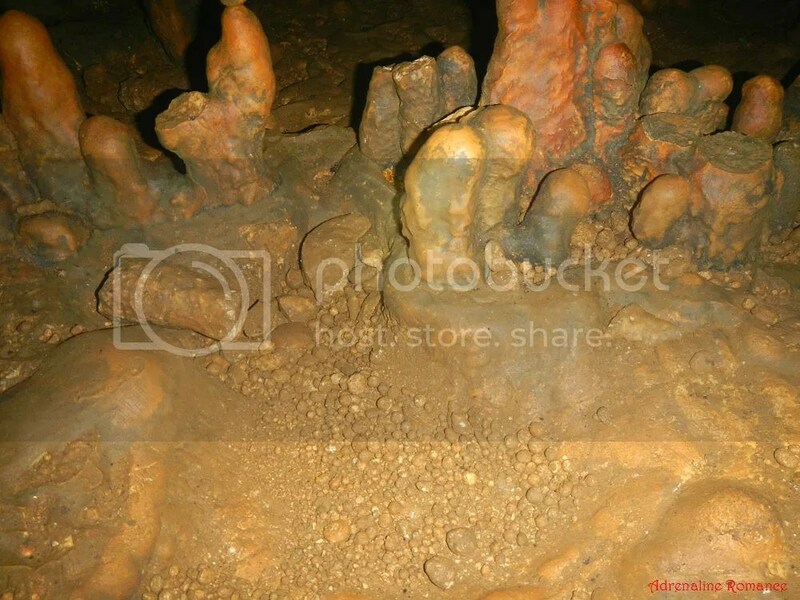 Below are close-ups of some of the smooth, short stalagmites. Don’t they remind of you of something—nasty and nice? Hehehe! They really look like living blobs! Sir Vincent explained to us some tidbits of history, local tales, and government proposals to protect both Crystal Cave and Bolitas Cave. After spending half an hour inside Bolitas Cave marveling at the strange formations, we crawled back towards the entrance of the cavern. We spent less than two hours inside both caves, but we welcomed the warm daylight and the blissful scenery with open arms. 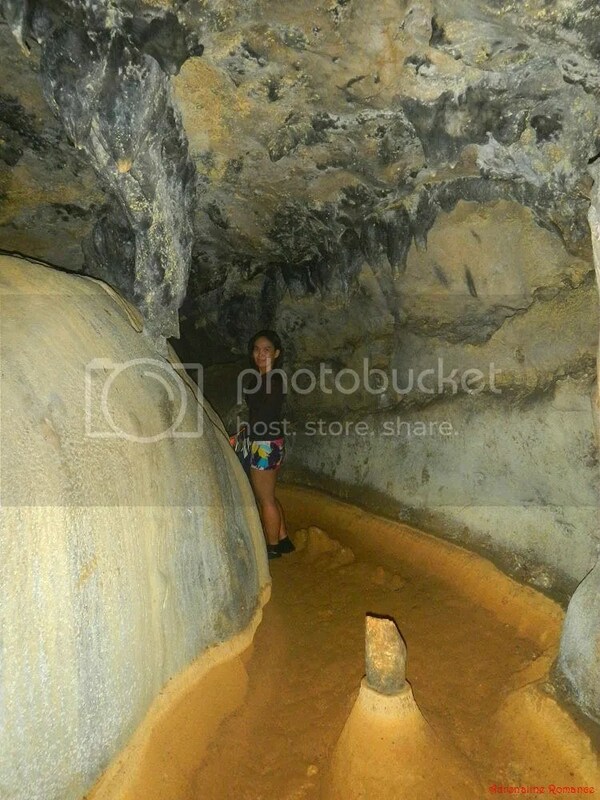 In most of the caves we’ve explored, we needed to go far inside to witness spectacular rock formations. But in both Crystal and Bolitas Caves, their strange wonders and unique features are immediately presented to us right at their mouths. It’s as if Mother Nature cannot contain her excitement to share with us her chest of secrets in this part of Bucas Grande. 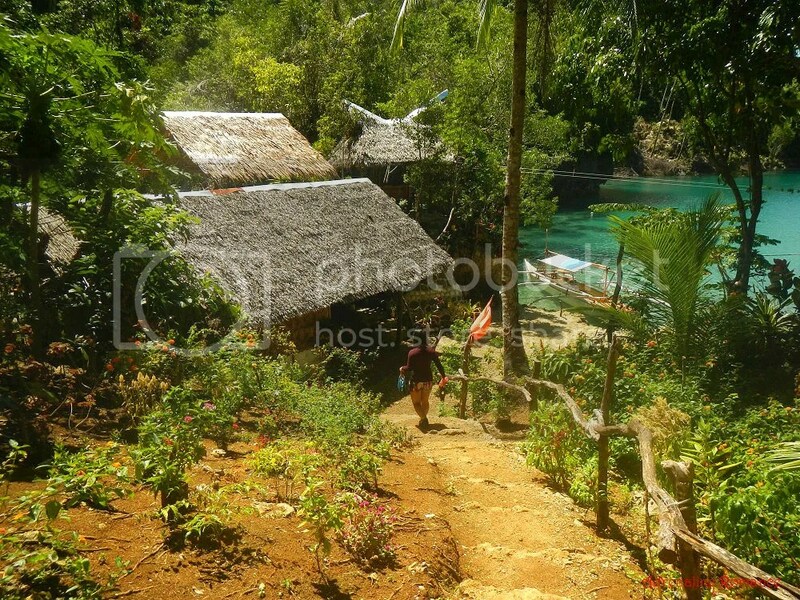 Stay tuned for our Sohoton Cove tour. It truly is! 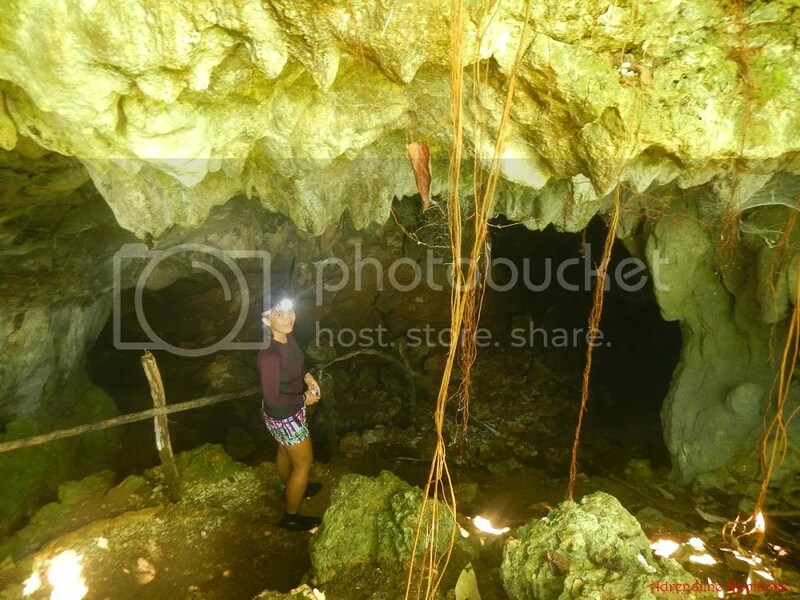 There are many beautiful caves here in the Philippines. Sohoton Bay. It’s all there in the blog.